Here you find the legendary Guede knives from Solingen for all hobby cooks and professionals - original manual work since 4 generations! Solingen - Guede. The knives. No compromises since four generations. Since the end of the 80's the great-grandchild of Karl Guede, Dr. Born, leads the enterprise in 4. generation consistently back to the origin. The company concentrates on the original form, because the classical knife forms are both: timeless and up-to-date. Today, in a time, in which compromiseless handmade quality enjoys a much higher value, the knives from Guede find a lot of lovers. Still with the professionals, but ever more also with hobby cooks, who like high-quality knives. 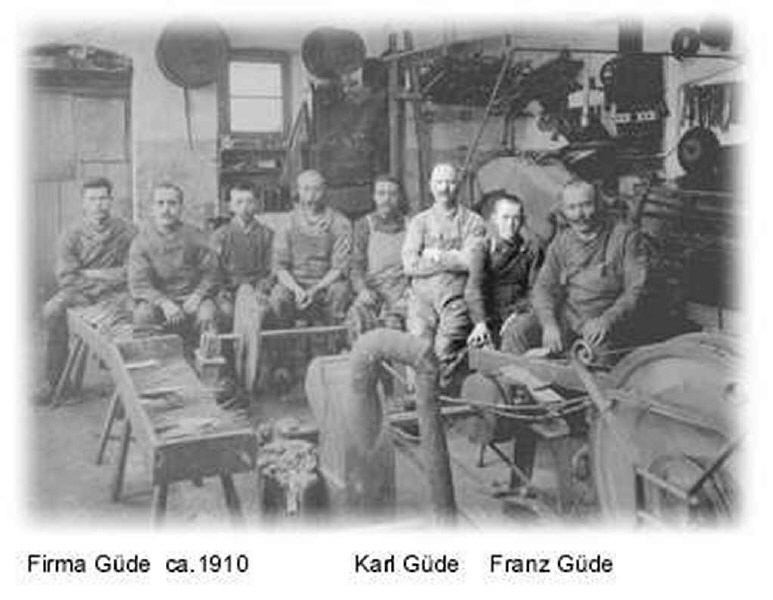 In the enterprise principle nothing changed: Guede manufactures forged knives by hand in small numbers of items! EACH GUEDE KNIFE IS A LITTLE MASTERPIECE! The company Guede is one of the last companies who produce their knives by hand in the famous town of knives: Solingen - GERMANY. Guede Series Alpha The Guede knife series "Alpha" is distinguished with the "Busse Longlife Design Award 2008".